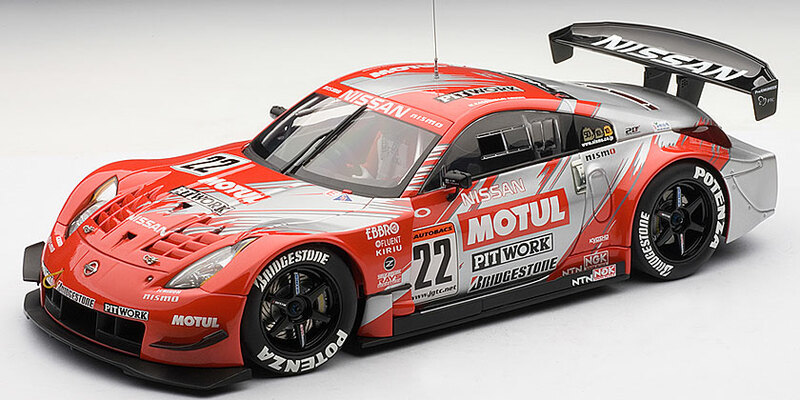 Attention JGTC race fans, AUTOart will be releasing the Motul Pitwork Z 2004 Team Champion #22 with driver figurine (Masami Kageyama) soon. Be sure to preorder yours today, this is a limited production piece with only 1000 available worldwide. First time visit to your site and I very excited to be here with some dicast model photos have you been posting. That all photos are originally taken by yourself, I like it! Welcome!! I cannot say that all photos are taken by us. Sometimes we have to borrow photos from the manufactures if pieces are not available for us to photograph.